This article is from 2013. Any company staging Romeo and Juliet for younger audiences has two hurdles to overcome: make it clear enough for children to understand, yet fresh and interesting enough for the adult sitting next to them, who knows the story inside out. This energetic production from Bristol Old Vic Theatre School and New Mutiny Theatre Company clears both with ease. It also manages to make the audience laugh out loud then reduce them to tears in the space of an hour. Admittedly, they’ve got a great story to play with, and despite culling a few major characters, they stay pretty faithful to Shakespeare’s original. The frame they place around it, however, is a stroke of genius. Feeling the sting of her parent’s recent divorce, young girl Emily tries to settle into her new bedroom at dad’s house. Looking for love in every book she picks up, she happens upon Romeo and Juliet, and assumes a fairytale happy ending is on the cards. The six performers who suddenly appear to act out the play have other ideas, of course. Shifting between modern dialect and Shakespearean prose, Emily forms the perfect bridge between the audience and the Montague and Capulet clans. Clarity is paramount, the pacing is spot on, and the laughs come thick and fast – until the death tally starts rising, then it’s time to reach for your tissues. Whether they’re singing, playing instruments or acting with a comic timing and emotional passion that belies their age, this talented cast holds you in its sway throughout. 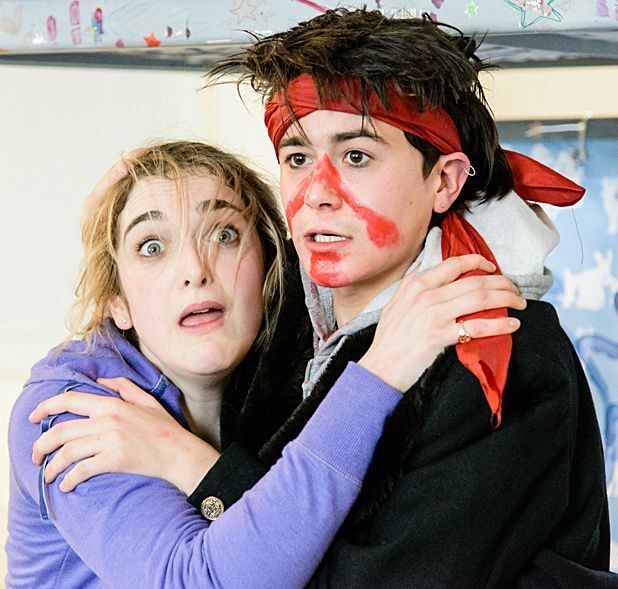 Romeo and Juliet may be in the Children’s section – and it’s certainly a great introduction to Shakespeare – but this superb production is every bit as entertaining for adults as it is for kids. Assembly George Square, until 18 Aug, 11.20am, £9–£10 (£7–£8). Acclaimed adaptation of the classic Shakespearean tale of star-crossed lovers.